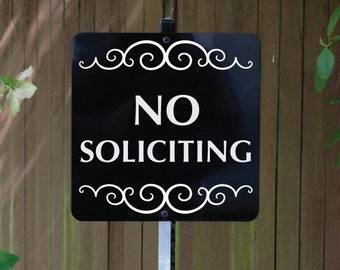 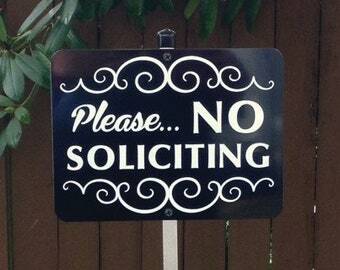 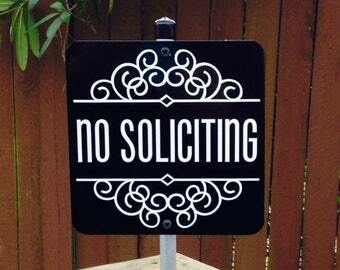 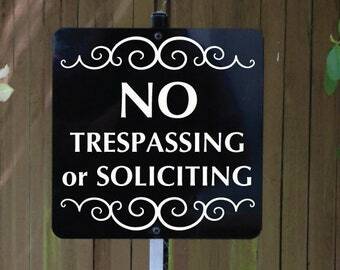 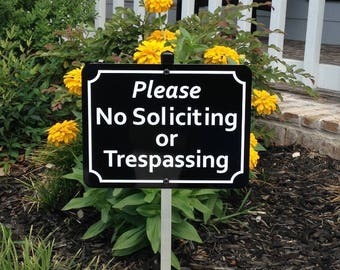 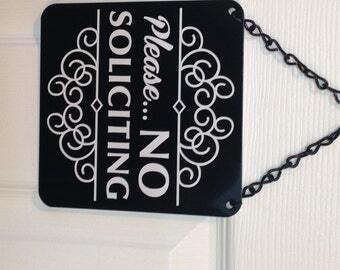 Please...No Soliciting Yard Sign / Functional and Very Attractive. 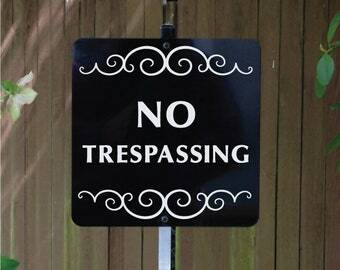 Comes ready to use attached to a 18 inch Heavy Duty Aluminum Stake. 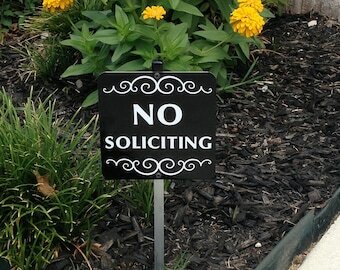 The right size sign for your home or office, that's big enough to be seen and read without over powering your landscape. 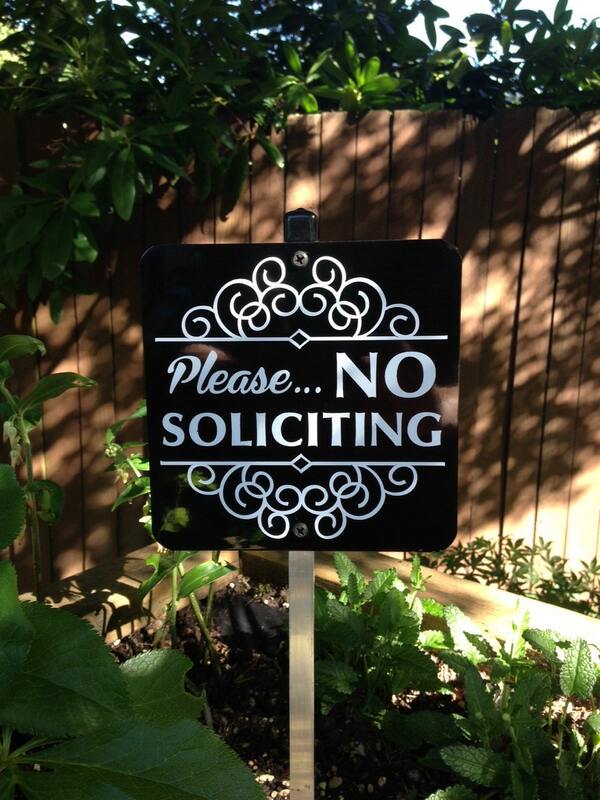 Perfect for a flower pot or box planter and more. 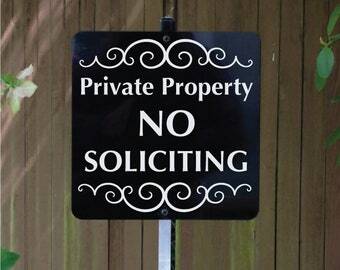 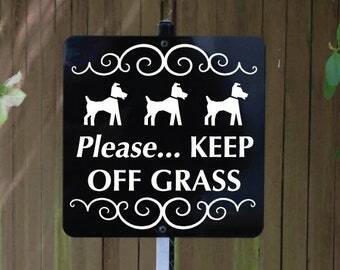 Don't let unwanted visitors or solicitors get to the door place near walkway or footpath. 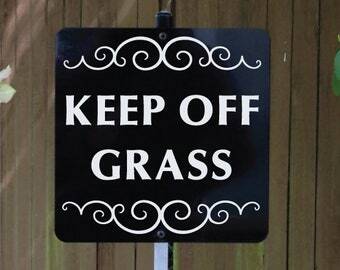 The perfect size and color to be seen but not overwhelm your landscape. 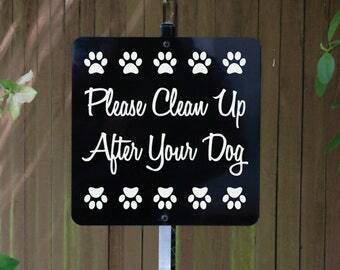 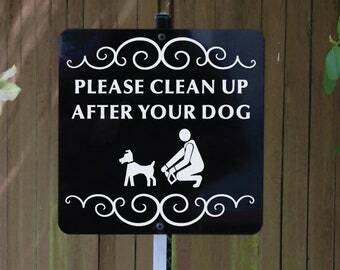 Very nice sign! 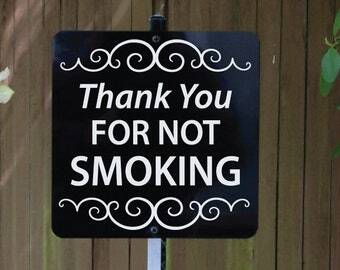 I'm pleased!